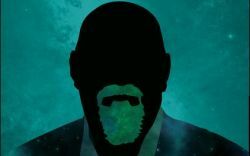 The Warrior For Reason - Matt Dillahunty embarks on his first world tour! Magic & Skepticism will be the key focus of his lectures, which will include a lengthy Q&A and lobby hangout after each event. Matt has recently shared the stage with world renown authors Richard Dawkins, Sam Harris and Lawrence Krauss. He is currently finishing his first book, which is highly anticipated from the religious & non-religious community. Don't miss this tour, as the events will not be filmed and released!